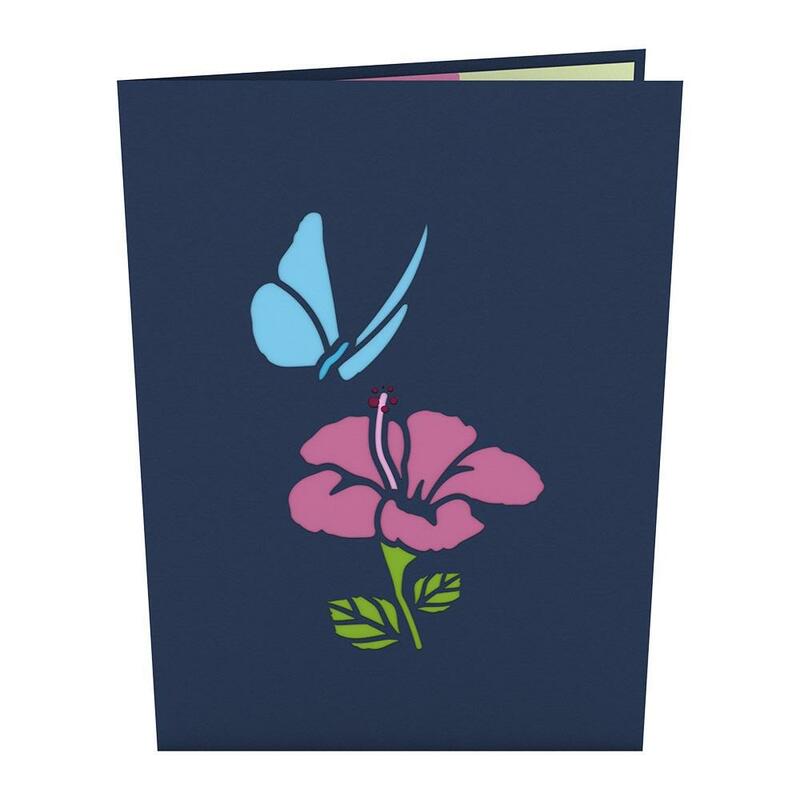 The dark blue cover of the Blue Morpho Butterfly card features a light blue, laser-cut butterfly fluttering about a pink hibiscus and its green stem. 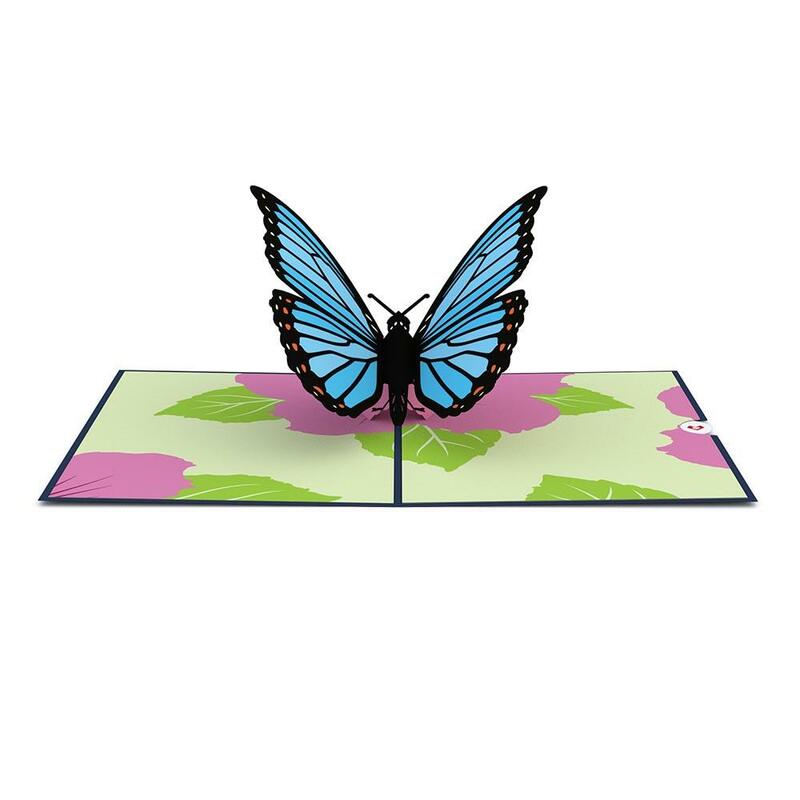 Once opened, the Blue Morpho card reveals a blue and orange winged butterfly sitting upon a printed pink hibiscus. If you look under its wings, the Blue Morpho unveils a third color, brown, to add to its beauty. Along the inner panels, three pink hibiscuses and their green leaves create an elegant garden scene.